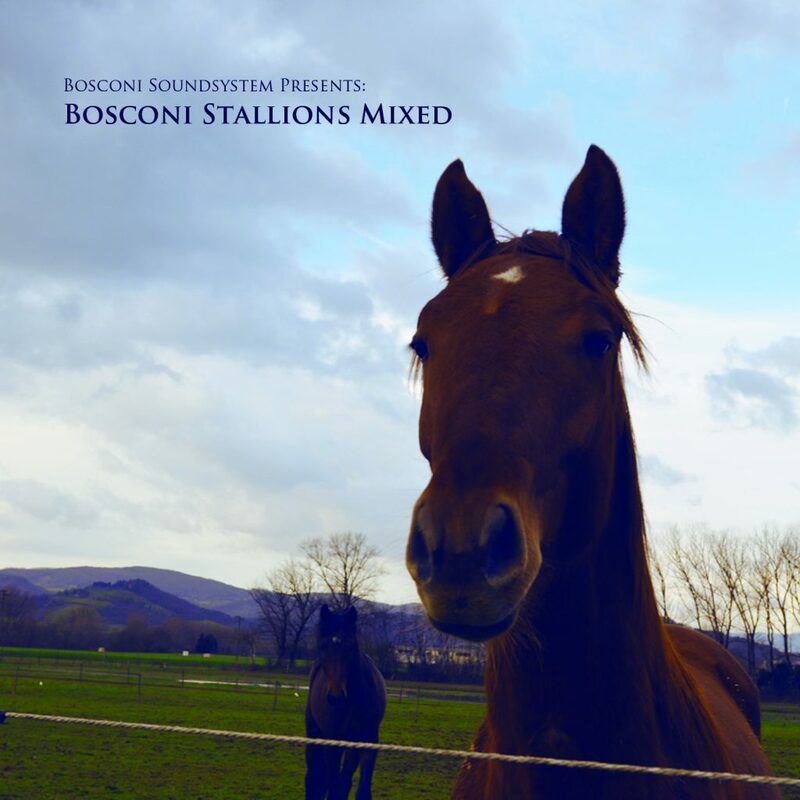 Rounding up the finest of our rare breeds for a show-stopping steeplechase, Bosconi is proud to invite the world into our stables to demonstrate the sound we have been rearing for the past five years. Leaping from the stocks in a flurry of high-pedigree house and techno, our Stallions bring forth the values we hold dear in electronic music, from young foals such as Herva and Nicholas to seasoned steeds like A Guy Called Gerald and Nick Anthony Simoncino. It starts from here, the artistic journey of Bosconi’s stallions. Fabio della Torre, Rufus, Mass Prod and Alex Picone united under the nickname of Bosconi Soundsystem and show us the muscles in a great mix tape that combines the present music in the compilation. Together they pursue the idea of a DJ-set free from schemes and constraints of genre, mixing several types of beats and melodies wrapped in a wonderful hour to listen to all of a breath.